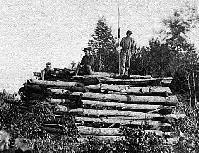 Elk Mountain Signal Station - September, 1862. Bill Cameron is a retired U.S. Army Colonel and lives in Lufkin, Texas. He is a Vietnam and Gulf War veteran, and commanded signal soldiers at every level from company to brigade. His last assignment was as commander of the U.S. Army Electronic Proving Ground, Fort Huachuca, Arizona. He received his BS from Arkansas Tech University and his MA from Western Michigan University. He is currently employed as the technology coordinator for his local school district. 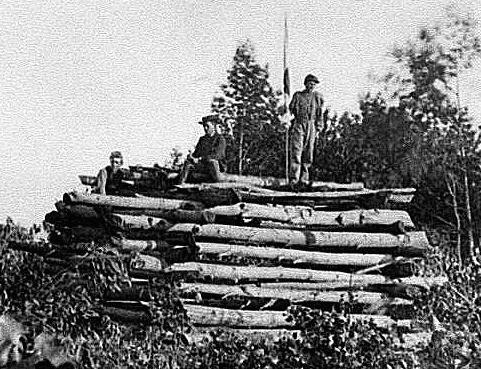 Bill has been interested in the Civil War and the Signal Corps for many years. He has written four articles for Gettysburg Magazine and is currently working on an article about the 118th Penn. at Gettysburg. Bill is an active member of the Gettysburg Discussion Group. The author gratefully acknowledges the encouragement and assistance of Dennis Lawrence who spent a lot of time and energy scanning, editing and reformatting this paper. He has breathed new life into an old paper and has made it accessible to the Gettysburg Discussion Group and all interested individuals visiting the Lawrence brothers' excellent web site.